A few days ago I stumbled on Georganics toothpaste on eBay. I checked ingredients, and I was more than happy to order some of them. I ordered six different types of Georganics toothpaste. I ordered these flavors: Red Mandarin, Sweet Fennel, Tea Tree, Spearmint, Ginger, and Peppermint. Toothpaste is packed in the jar, and you need to dip your toothbrush in the jar before toothbrushing. Georganics was found by Alex Rocchi back in 2015. Alex Rocchi has a goal to bring natural products to the people, and we thank him on that and hope that his goals will be fulfilled. Georganics formula is to use only organic ingredients without any toxic elements in their products. All ingredients are derived from plants or fruits. 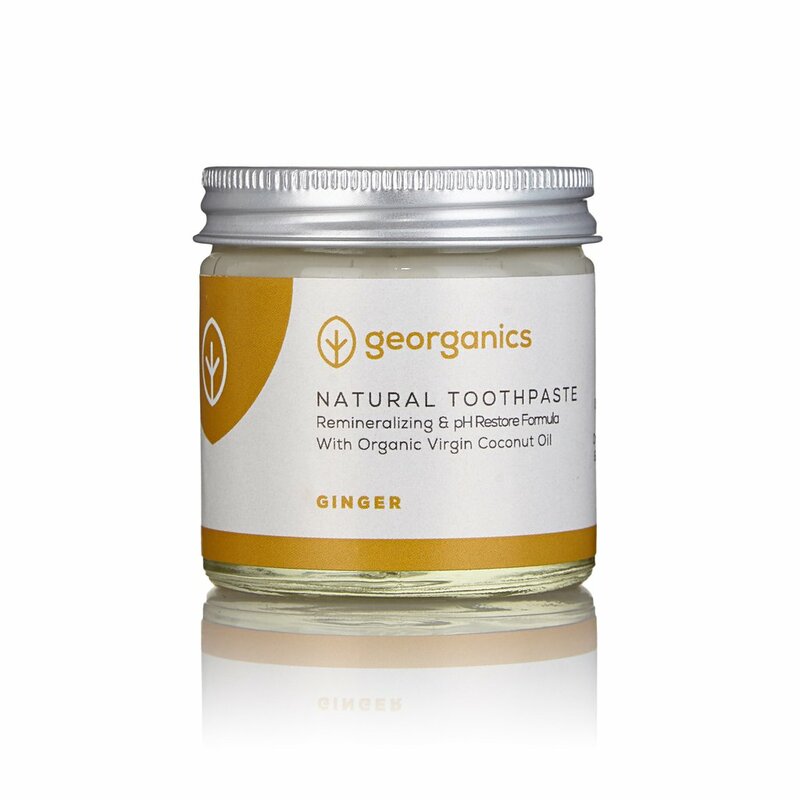 Georganic uses natural materials to fight bacteria in our mouth and claims no use of artificial synthetically made chemicals. They believe to be able to source every ingredient from purely organic sources. 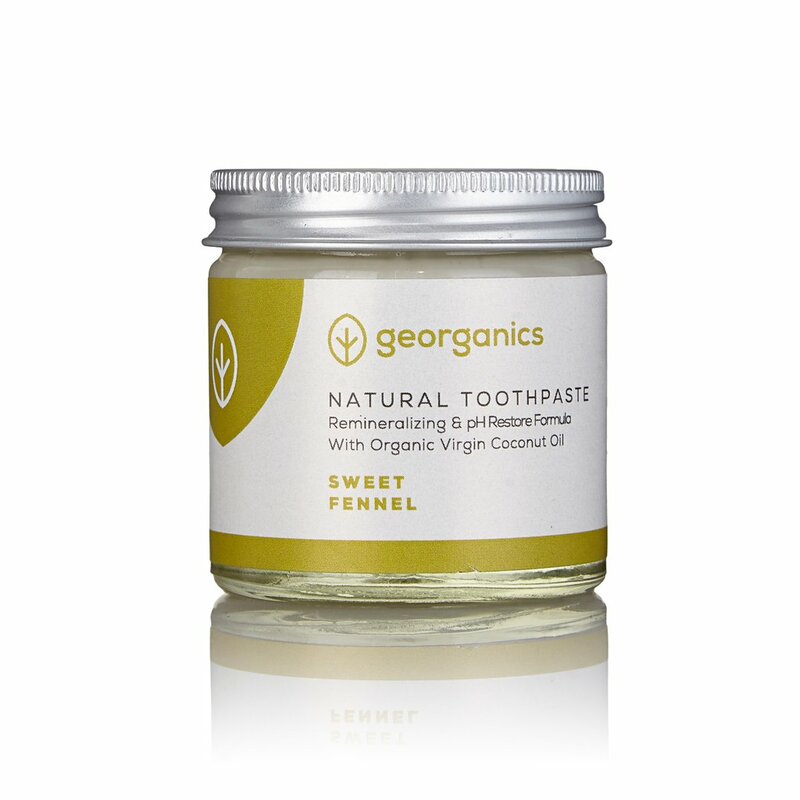 Natural Toothpaste Brands also believes that and companies like Georganics are the reason for making this website. Georganics promises to use only organic ingredients from certified crops. They use minerals and salts from real, unaltered sources. They choose healthy ingredients that promote oral health without glycerine, SLS, and preservatives. There is really no bad ingredients that we should talk about. Instead of that, I will focus on healthy ingredients and how they can promote our oral health. It is probably obvious for you already that Georganics will get perfect review rate. All Georganics kinds of toothpaste have this ingredient. Calcium Carbonate is food grade element found in rocks. It is food grade element, and you can eat it. The reason why I love this toothpaste already, even before I got my hands on it. I just love coconut oil, and I use it for many other things. When I see a coconut oil in toothpaste, I know that the toothpaste manufacturer knows his job. Maybe triglyceride word will scare you, but there is nothing scary behind it because these triglycerides are not the ones we have in the body (that we don’t want to have), this are triglycerides derived from coconut. Kaolin is derived from rocks rich with kaolinite. This ingredient is used as a cleaning substance. It is much better to use kaolin than hydrated silica. Another ingredient derived from rocks will sure help you clean the worse problems on your teeth. There is nothing dangerous behind this scientific term; it is entirely natural product found in rocks. Just like a coconut oil, when I see sodium bicarbonate I know the toothpaste is a real deal. And when I see these two ingredients combined then we have a highly rated toothpaste. Each of Georganics toothpaste has its own oils that are derived from organic farming crops, and all of them are food graded ingredients. Toothpaste that uses oils is more expensive than that conventional toothpaste with synthetic chemicals produced in the laboratory. But this oils purpose is not just to give extra flavor to the toothpaste, but oils are proven to fight against bacterias. And that is one of the reasons why I have bought six different Georganic kinds of toothpaste, to test all 6 of them and see which fits me best. And I would like to combine them. Spearmint and Peppermint for fresh breath. Ginger and Sweet Fennel for extraoral health. Georganics is setting up standards high. They are based in the UK, but I see them conquering the world very fast because they product is affordable and contains elements that every natural toothpaste should have. With zero dangerous or even doubtful ingredients, this toothpaste company did a job many others have failed. I will keep updating this post when I get my hands on the toothpaste and when I test them for a longer period, so keep posted.